It’s time to have a good time at Magic Kingdom Park with Mickey & Minnie’s Surprise Celebration. we’re honoring the true originals with new entertainment, merchandise, and of course, FOOD! Throughout the year, we’ll have an array of specialty food, beverage, and novelty offerings inspired by Mickey and Minnie – and you never know what you might find. The items listed below all start today, so be sure to come on out and try them before they’re gone! First up, you’ll find a familiar burger at Cosmic Ray’s Starlight Café. 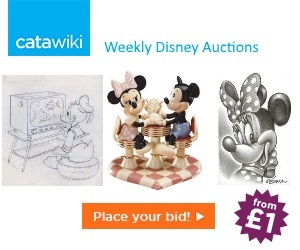 That’s right – the Mickey Burger is back! 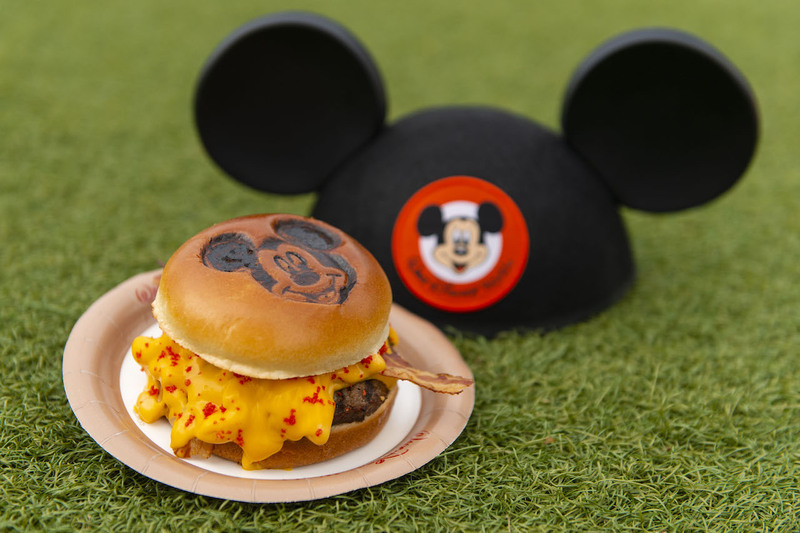 This angus burger comes with macaroni and cheese, American cheese, cheese sauce, flaming hot cheese dust, and bacon served on a Mickey Mouse bun. 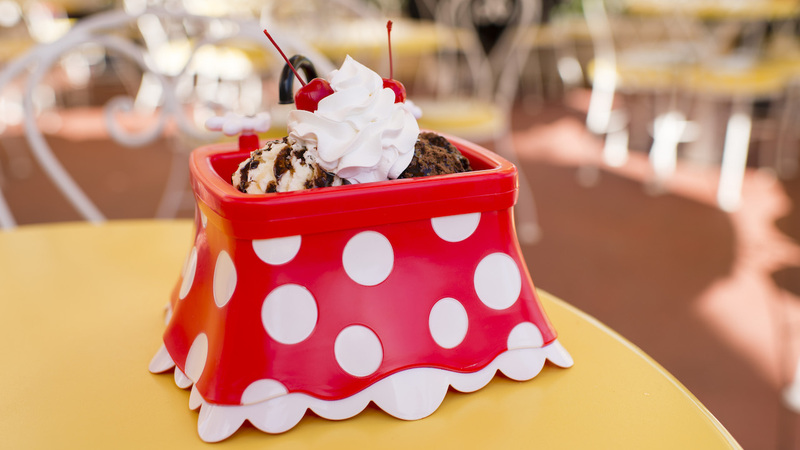 Over at the Plaza Ice Cream Parlor, you can find the Minnie Kitchen Sink. 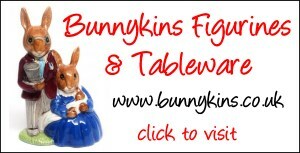 This fun novelty item comes filled with two hand-scoops of ice cream topped with whipped cream, cherries, and your choice of hot fudge, peanut butter, or caramel. 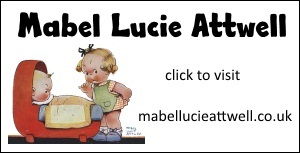 Share it with a friend for ultimate deliciousness and fun! 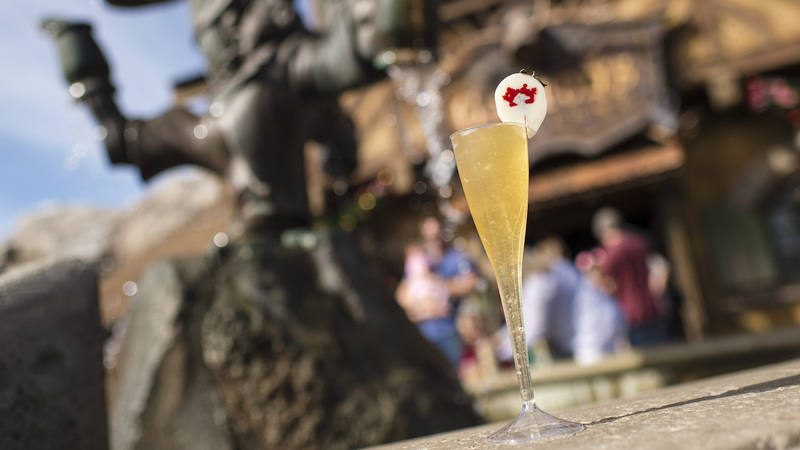 Head on over to Gaston’s Tavern in Fantasyland to sip on the Now and Forever Slush – a sparkling cider slush served in a Champagne flute and garnished with a white chocolate-dipped strawberry featuring Mickey and Minnie. This tasty treat will be available through the end of February. If you’re dining at The Crystal Palace, Jungle Navigation Co. LTD Skipper Canteen, or Tony’s Town Square Restaurant, you can add a sweet ending to your meal with the True Love Cheesecake, available through February 15. 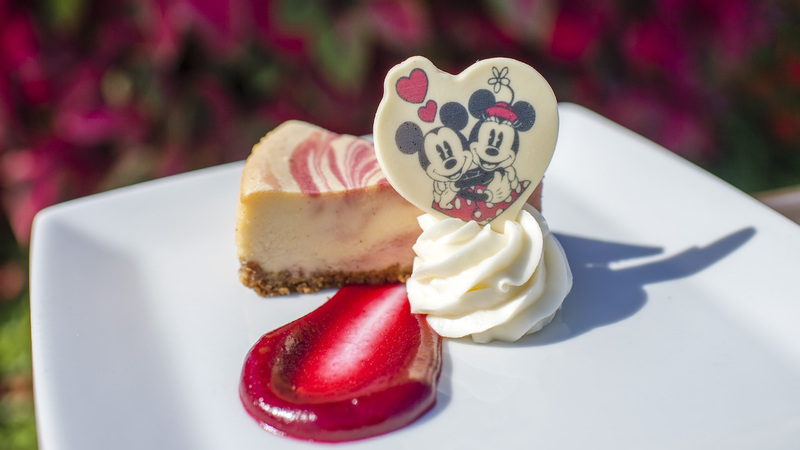 This strawberry-vanilla marble cheesecake comes with raspberry purée, whipped cream, and a Mickey and Minnie chocolate piece. 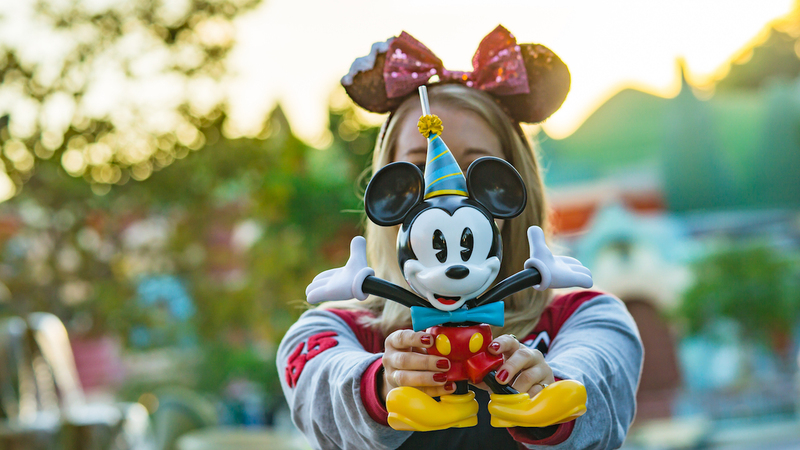 Everyone’s favorite pal is also back, and he’s even wearing his birthday hat – the Mickey Sipper and Birthday Hat Novelty Straw will be returning and available at various quick-service restaurants throughout the park. Note: this fun sipper is only available while supplies last! Mickey & Minnie’s Surprise Celebration runs through September at Magic Kingdom Park. Remember, these offerings will change throughout the year, so be sure to keep checking the Disney Parks Blog for updates and new info! For more information and to make reservations, visit the Walt Disney World Resort website or call 407 WDW-DINE (407 939-3463).